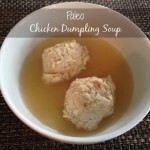 chicken dumpling soup | Whole Food. Real Food. Good Food.